After the gruesome murders of over thirty British tourists on a Tunisian beach Friday, the British Prime Minister David Cameron was quick to condemn the atrocity. But he was also quick to remind those listening that Islam is a religion of peace and that terrorists have seized and perverted Islam. He is now calling on the national media to stop referring to “Islamic State,” the name that ISIS calls itself. For years now, we’ve been hearing of terrorist acts committed by Muslims in many different countries. Yes, occasionally, we hear of a terrorist act committed by Hindus and individual acts of violence by supposed Christians, like the one in Charleston two weeks ago. But most terrorism is committed by Muslims, both Shia and Sunni. Sometimes, it’s hard for politicians to come out and tell the truth, but one day somebody will have to, if we are to ever win “the Great War of our time,” as Michael Morell calls it. Mr. Morell was the former deputy director of the CIA. Mr. Cameron’s call to end the use of the term “Islamic State” led to a discussion on the BBC World Service (radio) this morning. It amazes me with so much going on, with terrorist attacks threatening us all and with IS constantly expanding its territory, that we can indulge ourselves in discussions of semantics on worldwide radio. At one point, the term “Islamic State” was being discussed. One contributor said we should not use it as ISIS is not Islamic and not a State. What is it then? I googled a definition of “state.” The following definition came back: “a nation or territory considered as an organized political community under one government.” Based on this definition, IS is certainly a state, or country. It’s not a “state” as in the US, which is a federation of 50 states. But it is as much a state as Germany, Italy, France, Saudi Arabia, Iran, etc. It has territory. In fact, it has more of it every week. It now controls most of Libya and has clearly expanded its influence into Tunisia, with two major terrorist attacks in three months. It’s also an “organized political community under one government.” It’s certainly not organized like other countries, but in its own way it’s organized and has a central authority that lords it over the people, just like other governments. The problem is that it gives Islam a bad name. But, that’s nothing new. Islam has had a bad name for 1400 years, ever since its founder, the prophet Muhammed, told his followers to go out and kill all infidels, to conquer the world. Our ancestors knew that this was reality. On a number of occasions during this long time period Europeans were in a state of armed conflict trying to stop Muslims from conquering Europe or the Middle East. Yes, President Obama was correct when he reminded listeners that Christians did some terrible things, but now is now. It’s not Christians that are threatening to shoot or behead us en masse, it’s Muslims in general, al-Qaeda, al-Shahaab and ISIS in particular. And it doesn’t help when Messrs Cameron and Obama keep repeating that Islam is a religion of peace. In fact, it shows them up as being ignorant of history. It also shows that they haven’t read Graeme Wood’s groundbreaking article on ISIS in the March issue of The Atlantic, the most read article in the magazine’s long history. Wood’s long article showed that ISIS represents true Islam, that the organization’s roots can be found in the seventh century and that they see themselves fulfilling eschatological prophecies before the advent of the Messiah. Refusing to recognize this is irresponsible. People cannot defend themselves if they cannot clearly identify the enemy. ISIS is the real Islam and it has territory, so it has every right to call itself “Islamic State.” In fact, it’s the perfect name for this political entity. One of Mr. Cameron’s predecessors as prime minister, a fellow Conservative leader, Winston Churchill, did not come on the radio after every Nazi attack to remind the British people that it wasn’t the Germans who were doing this, it was only the Nazis who represented hardly anybody. If he had, it’s doubtful that victory would have been achieved. Mr. Cameron’s England is more reminiscent of a book written shortly after World War II. In George Orwell’s “1984,” the Ministry of Truth told nothing but lies, even going so far as to rewrite history for the newspapers. It was almost impossible to think for yourself. If you did, it wouldn’t be long until the Thought Police caught up with you. Today’s “thought police”, employees of the Ministry of Truth, are the multiculturalists who keep telling us that Islam is a religion of peace and threaten us with prison if we say otherwise. Meanwhile, the “proles,” the proletariat, the ordinary people of Orwell’s England, were fobbed off with endless entertainment, so they wouldn’t think too much. It’s a good thing he died in 1950 – an evening with cable television would have finished him off, anyway. 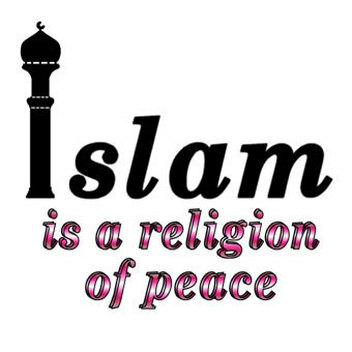 One day, with increased acts of terrorism in our own countries, it will become impossible to keep repeating the mantra that Islam is a religion of peace. But, by then, it may be too late! 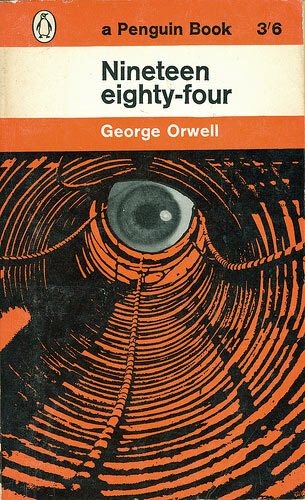 Sales of George Orwell’s “1984” are at their highest in many decades, following revelations of the US government listening in to our phone conversations in true “Big Brother” fashion. I pity the federal employee who has been assigned my phone number – he must be bored out of his mind. I was on a train in England sometime ago, with nowhere to go to escape the woman across from me who clearly was not interested in quietly reading like other well-behaved passengers (i.e. myself). She rather spent the entire two-and-a-half-hour journey calling her friends. Her inane chatter almost drove me mad! Whichever government employee keeps tabs on her might want to switch to tracking me – compared to hers, my life is far more interesting! In the same week as the revelations hit the headlines, I did think of “1984”, one of the best books of the twentieth century, but it was for a completely different reason. I’m not going to read the book again. It’s one of the few novels I read twice but I prefer his “Burmese Days” and think that his most famous book “Animal Farm” was the most influential and perceptive book of the century. However, “1984” has been on my mind. The reason is the new de facto alliance between the United States and Al-Qaeda. Remember Al-Qaeda? Osama bin Laden? If you remember, they attacked us on September 11th, 2001, and killed about 3,000 Americans. The attack led to two major wars that killed even more Americans, plus Brits, French, etc. – not forgetting even more domestic casualties (“collateral damage”) in both Iraq and Afghanistan. If you can remember even further back (Americans have notoriously short memories!) you will know that we actually armed Al-Qaeda in their war against the Russians (then the Soviet Union) back in the eighties. At that time, OBL was a “freedom fighter.” Then he became “Public Enemy #1;” now, of course, he’s dead. But his organization lives on and is fighting against the Syrian regime of Bashir al-Assad, who is now “International Enemy #1” (unofficial title). And so are we. We fervently want to end his dastardly regime and replace it with another dastardly regime! Because that’s the way it works in that part of the world. It gets more complex but I will try and simplify it for you. Assad is an Alawite, a sect of Shia Islam. OBL and his not-so-friendly bunch of thugs are Sunnis, as are most Muslims. Assad is supported by Hizbullah, a Shiite terrorist organization in Lebanon that is in conflict with Israel – and Iran, which is ruled by Shiite nutters who don’t like us; or maybe they do, as they haven’t attacked us yet, whereas the Sunnis have!!! Assad and the others are also supported by the Russians. Remember them? They were our enemies for over forty years during the Cold War. They are still our enemies but everybody is still hoping they return to democracy (return??? They’ve never been a democracy. Why should we expect them to embrace democracy now, especially when it’s not working any more in the West?). This is all very reminiscent of “1984.” If you remember (and I’m going back 40 years here), there were three major powers and two of them were always in alliance against the other one. The problem was they kept changing sides. And when they did history had to be rewritten so that the people thought they had always been at war with the present enemy and in alliance with the other. Sounds awfully like modern international alliances and wars, doesn’t it? For those unfamiliar with it, the book is a satire on communism. At the beginning, the animals rebel against Farmer Jones and take over the farm. The analogy is with Russia (Farmer Jones represents Czarist Russia; the animals the peasants who took over with the Bolshevik Revolution.) In time, the pigs start to resemble the Czar. In the final scene, when the animals look through the farm window, they see the pigs sitting at the table smoking cigars and drinking whisky. In other words, revolutionary rulers end up being just like those they overthrew. In the same way, when it comes to the Middle East, successive US Administrations looks like the last presidency and the one before that and the one before that . . . Nothing changes and nothing is accomplished. But they keep on having to take sides in every dispute and sometimes going to war.